Here's another electrical box work of art that I noticed lately. 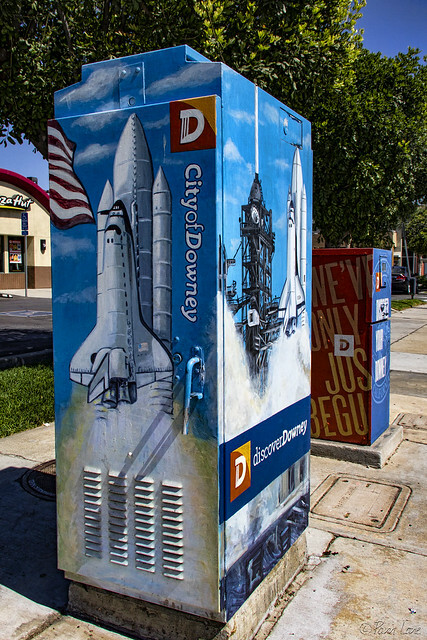 This one celebrates Downey's space history. 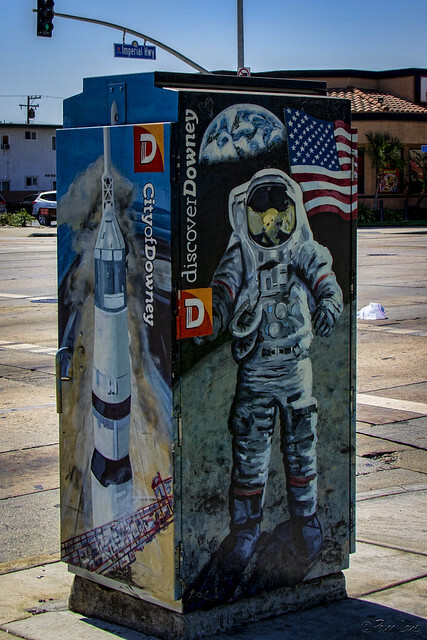 It's located, appropriately enough, right around the corner from the Columbia Memorial Space Center, where you can see exhibits related to all of these images.